Drive home, push a button to your private gated entrance and welcome your guests to a world only imagined in the pages of Town & Country magazine. Nestled atop the luxury homes of Tweed Blvd., this home was designed by renown architect Bernet Groth and built by Livsey and Heady. 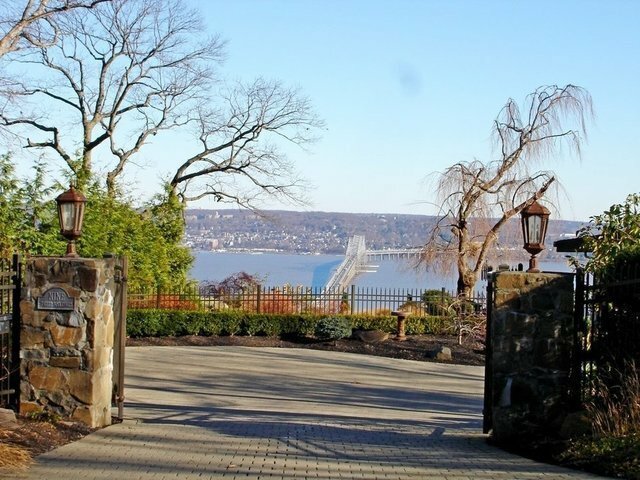 Enter into a true great room, 40' x 42' with 22' curved ceilings, fireplace and a wall of glass reflecting the mesmerizing panoramic Hudson River views with new Bridge. Terraced garden with waterfall and koi pond, slate patio, built-in BBQ, paver driveway and two-car garage. 1,000 acres of parkland adjacent to property. 700 ft above the Hudson and comparable to a pied a terre on the 60th floor of a NYC Skyscraper. Renovated in 2016 with new windows, newer kitchen with stone counter tops, cabinetry, Sub-Zero refrigerator and wine cooler. Radiant heat throughout. Master suite on lower level with Jacuzzi tub, sitting area and walk-in closet. Florida room, three additional bedrooms, first and lower level deck/stone patios, security system and multi terraces.